SEO, Social media marketing, Content marketing, Marketing Analytics, PPC managent and more. We are Kenya's leader in digital marketing . We have earned a reputation for excellence. We are Experts in SEO, social media marketing, link building, content maketing, branding and marketing analytics. We help businesses design and implement the effective digital marketing stragies. With vast knowledge and experience in internet marketing and marketing as a whole, you can be sure that a successful marketing campaign is a click away. Whether you own a small business or a large enterprise, about 80% of your customers are on the web, and they are searching for your business there. If these customers are not finding your business on the search results, chances are you are losing them to your competitors. Reach out to these customers and direct them to your business by working with marketing experts here at Apnest, discover marketing success with us. Social media is helping small and large business to reach new markets and interact with their customers. Today millions of customers are interacting with brands online through social media, hence, implementing a strong social media marketing plan is the key to enabling businesses growth. When implemented the right way, social media can result in remarkable success. Social media marketing in Kenya has proven to be an effective strategy for small and medium businesses, making it one of the best strategies for business without a huge budget. We help businesses reach and interact with potential and existing customers and more importantly helping them grow their client base. Search engines have become the main channel through which customers are searcingh for products and services. Here at Apnest we offer SEO consulting in Kenya to help enterprises reach their goals and implement an effective marketing plan. Unlike other marketing companies in Kenya our main focus is small and medium businesses to enable them implement effective Internet marketing strategies driven by data collected in the local markets. Most people think branding is a thing for the businesses that have developed a product but it is also a critical consideration for the businesses trying to establish a product or a service. Branding companies in Kenya are playing a critical role in helping business build strong brands. 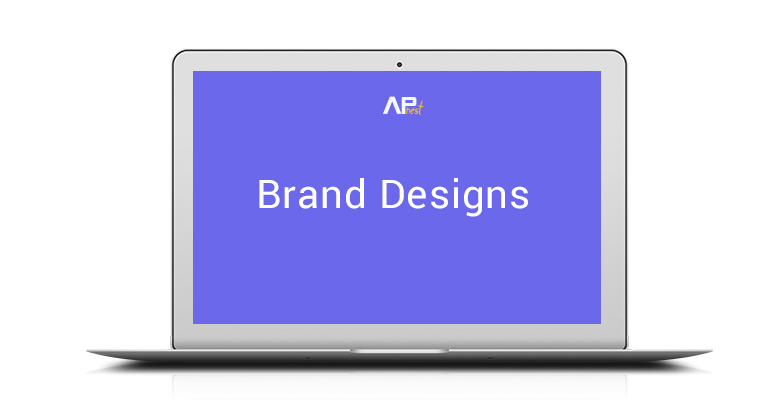 We help businesses get a corporate identity that represents a unique identity and aligning it with the positioning goals. We help firms build a consistent visual representation in all locations and all markets. Email marketing is an integral part of digital marketing. Although digital marketing plan can be implemented without email marketing, the results are not as effective as when email marketing is added to the plan. At times potential customers may not buy the first time they visit your website, and therefore they need repeated exposures through email. Digital marketing agencies advice businesses to include email marketing as it is not only extremely effective but it is also one of the cheapest forms of digital marketing. In the recent years, content marketing has gained immense popularity; it has been labeled as the most effective form of digital marketing. Research shows that the most successful lead generating marketers are more focused on content marketing. We have made it our mission to help our clients create targeted and quality content that plays a critical role improving return on marketing investment. As one of the top marketing agencies in Kenya, we offer a wide range of online marketing services to enable businesses grow and acquire the targeted market share. Let's face the reality; traditional advertisement just doesn't cut it anymore, it used to be great but we have to do marketing the 21st century way. Marketing and customers have evolved, and you need one of the best internet marketing companies in Kenya to carry out an effective marketing campaign in order to realize growth in customer base and increase in revenue. Internet marketing has become an essential factor when it comes to the growth of your business. This why we ensure your business rank on the first page of the search result. Times have changed, you don’t have to walk door to door looking for customers, let them come to your business. Use SEO services in Kenya from Nairobi SEO experts ( Nairobi search engine experts) and start growing your business and compete on national and international scale. Let your business rank on top of search results because your customers want to find your business on the first page of search results. No matter what your goals are, we have perfect marketing solutions for you. With our internet marketing experience and expertise, we know what works and what doesn’t and more importantly, we know how to get your website on top of search engine results thus increasing your number of customers and return on marketing investment. Social media is a marketing tool that can help increase grow your client base within weeks or months. Apnest marketers can help increase the number of customers visiting your business website or your business. It's the dream of every business owner or manager to see the number of customers increase but this is not always easy, but it's possible. We are among the best SEO companies in Kenya who are equipped with the right social media marketing techniques to help better your business performance. Online marketing companies in Kenya will do more than search engine optimization; they will help put together digital marketing strategies needed to help increase the revenue. Some of these digital marketing strategies are video marketing, content marketing, email marketing, paid ad management, pay per click (PPC) management. For as long as businesses have existed, marketing has been an integral part. No matter how good your product is, you can never overlook marketing. Marketing experts study the market, analyzes it and figure out what it would take to make your business succeed in that market. Professional online marketing companies in Kenya understands the Kenyan market hence will help your business grow and increase the revenue. Apnest has a competent marketing team with skills, experience, and passion to see your business succeed. We will market your business and increase the traffic coming to your business. We will help you build a strong online presence for your business and gain competitive advantage and eventually brign about the success that you seek. We offer the best digital marketing services in Nairobi, if you are looking for cheap SEO in Kenya, our prices are pocket friendly with substancial discounts to our regular clients.